Home » Posts Tagged "chilling"
Another trip to the wilderness…not really…but into a desert. This time to Joshua Tree National Park but this one was with a difference. In the past few weeks we have covered most of California and started with Arizona. I guess this was one of the last stops as far as camping trips were concerned. Come next week and I’ll be getting ready for a flight to New York! 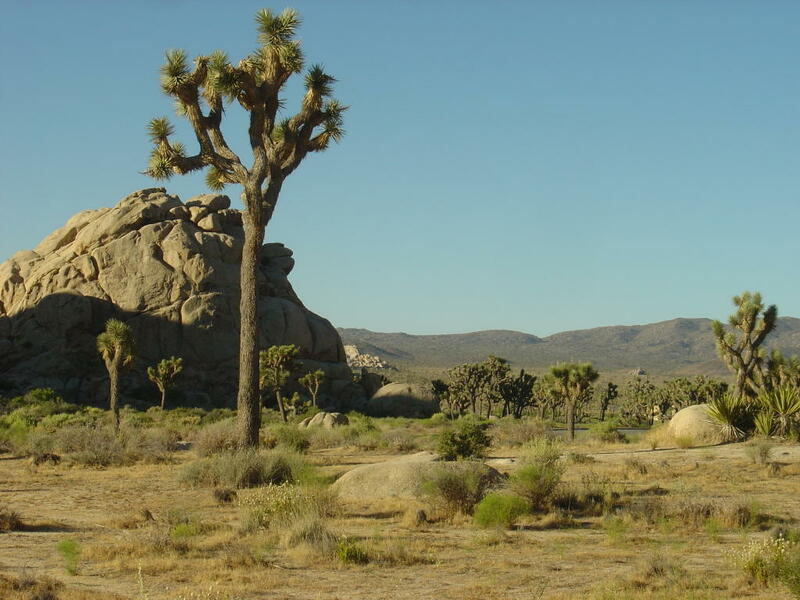 Joshua Tree national park is a dry, arid land with loads of Joshua Trees all around the place. It is basically a stargazer’s paradise. To get prepared for the trip we simply took out a car of one of my friends (Sudeep) and left. We required a pair of binoculars and the search began with gaining some know-how about binoculars. Found some really cool links thanks to google. I gained some really important tips about choosing binoculars. Then came the tough part…going and actually buying them. Well… this task for responsible for our delay in reaching the park. We got a really decent pair of binoculars (10×50 for $26.43 incl. tax from Walmart). All along we were wondering whether actually what we had heard (about Joshua being a stargazers paradise et. al) was true. As it turns out it really is a fantastic place but for a novice astronomer, he/she needs to carry a book that explains different constellations that you see. The most amazing part was we got to see a white band of light across the sky which people call as Milky Way! After sleeping for a few hours, we got up with the sun really beating down on our tent with gusto and left for Key View point. The nights are completely different from the days…at night the beauty of the sky and the cool breeze makes one feel really comfortable but in the morning it almost pains to see the desert…but I guess that’s what is the nature’s diversity! Then after visiting key view we made our way back to LA and on our way stopped by at Artesia for some good Indian Buffet Lunch! All in all, a different but exciting trip into the desert! This long weekend, the July 4th weekend, we went to Lake Tahoe. Trips are fun when the group sizes are large and this time around we broke the records of group sizes. 18 of us went to Lake Tahoe, with friends coming in from New York, Santa Barbara, Foster City etc. We booked a house for us and it was really grand. The cost of the rental was $670 for 2 days with a minimum 2 days rental. We left for South Lake Tahoe from Foster City, CA from Gander’s place at 9:45 am in a Jeep Wrangler . We took I-5N, I-80E,I-50E to reach South Lake Tahoe in 5hrs 15mins because of some heavy traffic. As soon as we reached Deepak had made arrangements for Jet Skiing for us in Lake Tahoe. The cost for rental was a decent $100 / hour. VK and I were on the same Jet Ski. It took me some time to get accustomed to the fact that I was gliding on the surface of water without knowing swimming. But once I became a little comfortable, I started to enjoy the surface tension of water! The life jacket that I had worn was luckily not put to full use as I did not fall into the water. The next day was the best adventure sport that I have ever been a part of. River Rafting with Adventure Connection in South Fork Waters was simply an ethereal experience. It was grade 3 rafting and we were told that was the beginner level. Our raft guide – Dinesh, was from Nepal and had a very clear idea and excellent knowledge of rafting. He told us that in India and Nepal the water grades are much higher than in US. For example, grade 5 in US is grade 3 in India & Nepal. The 3-hour rafting experience caused us $85 but it was worth every penny of it. Personally, I think that all of us are ready to do Grade 4 but I think I need to first learn to swim before I can embark on those escapades. I was told that Grade 4 was available in Middle fork and grade 5 was available on North Fork waters. Overall, it turned out to be a great trip with almost everyone enjoying the fun part. The total cost of the trip per person came to about $250 including food, stay and water sports. A great end to the 4th of July Long Weekend. Yosemite National Park located in Northern CA, USA is like a heaven on earth, as I found out this long weekend. From LA to Yosemite, we started our trip in early hours of morning at 12:30 am in a Dodge Caravan rented from Fox Rentals. The trip was more like serendipity of fortunate events (not that this means anything ;-). 14 of us lonesome souls set out for an adventure of the hitherto unknown. The reason I say unknown is we had no clue as to what we were doing. We set out with no reservation for campgrounds with the free spirit of desis! Reached there at around 7:00 am and noticed a huge line to get the campground reservations. Well, patience eventually paid off, when Nimesh and I got our name in the waitlist for campgrounds we saw our window of opportunity. Our name was 32nd on the list and we came to know from other people that they generally released around 10-15 campsites daily. 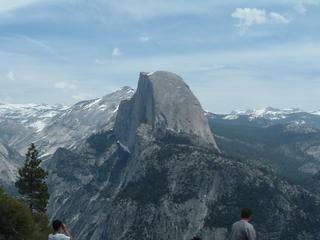 We went off to glacier point (After loads of arguments)….will be continued in later blogs! Graduation was wonderful and so were the trips with daddu and bhabhi to San Diego, Las Vegas and Grand Canyon and not to forget the shopping sprees at Barstow (I-40 exit at Lenwood Blvd.) and Citadel mall, Los Angeles. Then came the trip to New York City which was as always very welcome! Met up with Ankush at NYC working at Citigroup office at Long Island City. Now comes the time to unleash my sloth-like wrath towards summer!